This complete set is a special assembly of several first-class components for disguised operations with body worn audio and video observation devices. The PKI 5745 consists of a miniature colour camera, a pocketsized transmitter and a corresponding receiver with built-in TFT-display and digital recorder. The camera objective is camouflaged with an ordinary button suitable for every kind of clothing. Special types of buttons are available upon request. 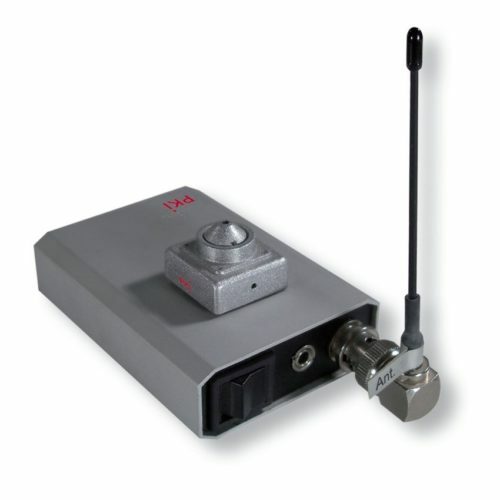 Optionally, this set can be supplied with a body-worn digital A/V recorder instead of the wireless link. Operating time: approx. 2 hours with fully charged batteries Extended operating time possible by means of external batteries.